On February 14, my furboys received a special Valentine’s Day gift. Their February PetBox arrived! Filled with treats and other goodies to make their month extra special. PetBox is a monthly pet goody delivery service and pets nationwide are finding their very own cool blue PetBox on their doorstep. 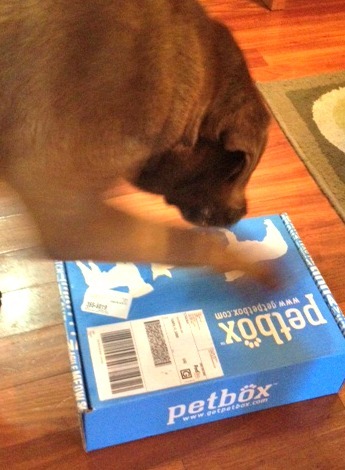 In January, I reviewed PetBox and gave it four paws up. I liked the convenience, quality of products, ability to choose what’s in the box and more! Read my review here. Abe Eager to Get In! 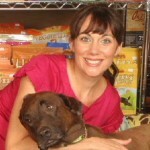 Since then, PetBox has asked me to review one box a month and offer Pack Mom fans a discount on their purchase. Alright! Let me tell you, my entire pack gets into it. My two furboys Abe and Chico and most especially, my toddler Sebastian who loves nothing more than to open the box with his butter knife. Ha! Watch the video above to catch a glimpse. This month’s PetBox was loaded with goodies! 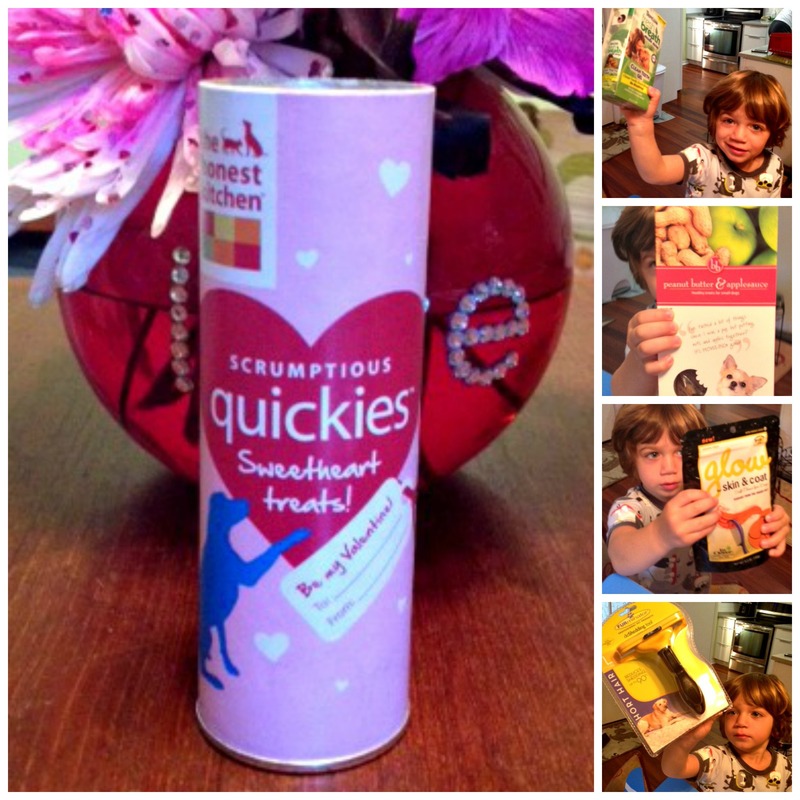 Quickies Sweetheart treats from The Honest Kitchen, a Furminator, Glow- Skin & Coat functional treats by In Clover, Peanut Butter & Applesauce treats by Bistro Bites and just in time for Pet Dental Health Month (February) Clean Teeth Gel by TropiClean. All very useful, functional and timely! The Furminator, In Clover Glow treats and Quickies will help my furboys during their allergy season (which is happening right now, ugh). Furminator to control shedding and remove dead skin; Glow and Quickies to provide a good amount of protein, DHA, Biotin and Zinc to promote a healthy cote. And, the Clean Teeth Gel is a great way to keep their canines healthy. I have used this product before and if used frequently and consistently, it will reduce plaque and tartar. Oh, and let’s not forget the Buffalo ear from Aussie Naturals. Abe and Chico went crazy so I cut it in half and they each enjoyed a quick chew. 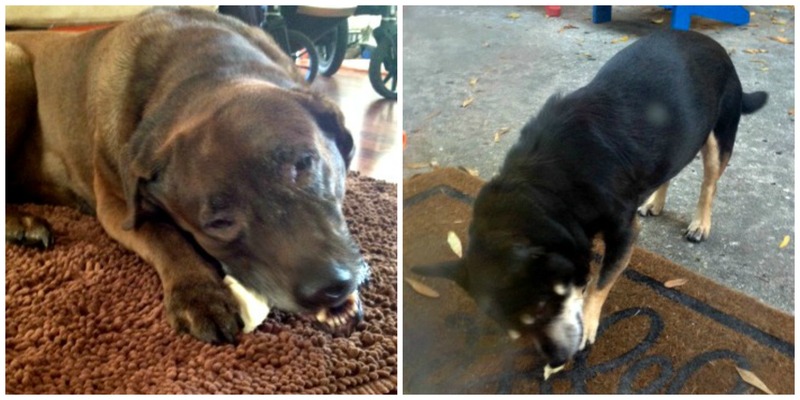 Abe and Chico with their buffalo ear. Yum! As stated earlier, Pack Mom fans will receive a discount. If you decide to spoil your Fido or Felix with a PetBox once a month or every once in awhile, simply use code PackMom20 upon checkout and receive 20% off your purchase. Easy! In full disclosure, PetBox offers all of their ambassadors a small commission for reviewing and sharing reviews with an audience. 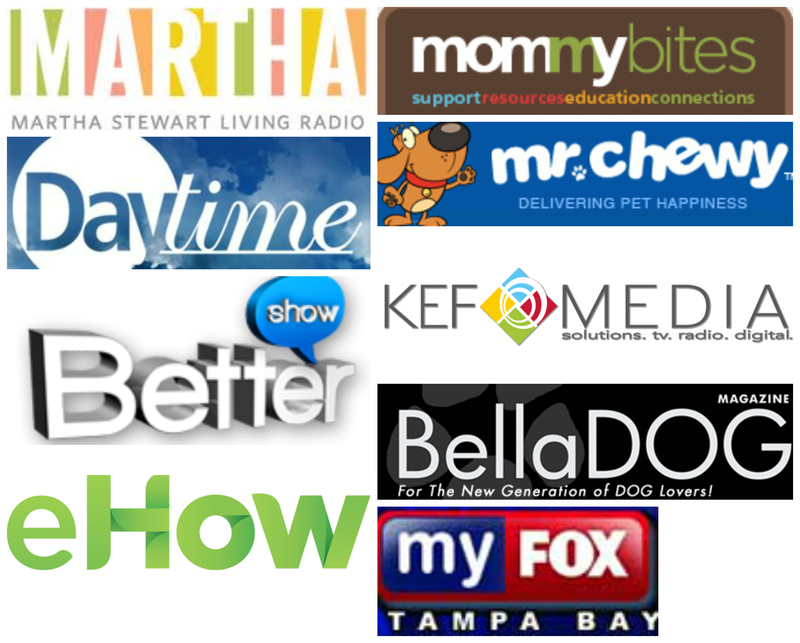 We will always share with you when The Pack Mom has paid advertisers, sponsors, etc. In this case, I like the product enough to share it with you monthly!